`Silly Fellows` is a Passable Comedy!. MLA Jacket Janakiram (JP) and his associates (Allari Naresh and Sunil) are loyal followers of a State Minister (who passes away). The Minister leaves his Ill-gotten wealth to Jacket, who loses his memory in an accident. The Infuriated Minister`s Bro-in-law (Posani) is after Jacket and his gang for the Minister`s Riches. 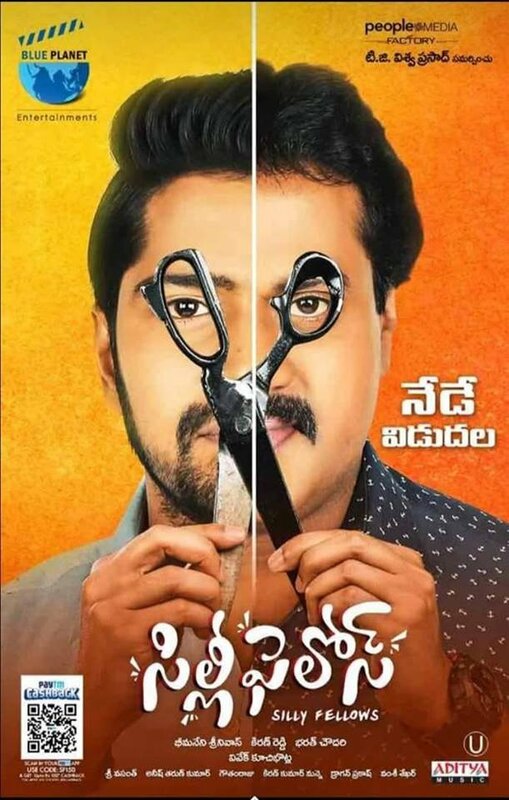 Allari Naresh and Sunil in Tailor-made roles are more than adequate. Jayaprakash Reddy plays the most important character of this film and steals the show. Leading ladies haven`t got much to play with and are ordinary. Posani, Raja Ravindra and other supporting cast are adequate. Music: Ordinary, Background score is decent. `Silly Fellows` is a Passable Comedy which offers some Decent entertainment despite it`s share of flaws. The film`s 2nd half is especially entertaining with All Characters converging into a single spot. The Romance parts seem forced and weak and could have been handled better. Although with an outdated Story, the film still offers enough to make it a passable affair, especially if you are looking to kill some time. Box-office Verdict. With WW Theatrical Valuation at around 5 Cr, this has potential to be a minimum guarantee affair.